Bridal Set Rings are very special as they are designed to fit and to be worn together, symbolising the eternal bond and commitment. We offer various styles of bridal sets in Gold with sapphires, Emerald, Black Diamonds, Solitaires, smaller Diamonds and more to suit your taste and style. All our bridal ring sets are created with lot of attention to detail and we try our best to maintain highest quality standards. All bridal jewelry sets we sell are hallmarked by London Assay office. 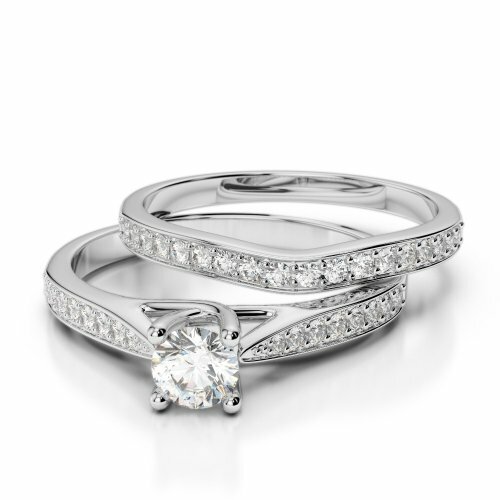 We offer diamonds graded by GIA. You can also filter your search as per Metal, Metal Colour, Precious Stones, Diamond Quality etc.